Early Morning Airport Drop Off Pictures! This week has been good! We had a successful transfer day and took all of the departing missionaries to the airport to go home on Wednesday. It was weird as always. The rest of the week was good as well! We were blessed with lots of referrals that we were able to teach and we met some nice people while tracting. We also went to downtown Jackson and just talked to people on the street, that was actually pretty fun! We taught one guy about the Book of Mormon there while he was on his lunch break. Last night we went and ate dinner with our investigator Gary. He is such a good hearted guy and wants to do all he can to help others. We talked a lot with him and asked him about different things he was doing to help him receive a testimony. He came to the conclusion that he wasn’t doing enough, which is a good thing to realize. He is a Calvanist so he doesn’t believe in continuing revelation, he believes that heaven was closed after the death of the Apostles. Hopefully we can help him realize an answer to his prayers. Things have been good this week! We have still been super busy. Idk why but I am just super tired. We were able to find a lot of new people through referrals so we have been getting lucky. We also tracted for 7 hours, probably an AP record because they have never tracted haha. We are working hard so hopefully things will pay off. Elder Beckstrom will be heading home in 5 weeks. The weather has been pretty hot and humid and has rained a bit too which has been really nice. Luckily it hasn’t affected any of our mission. We have heard it was pretty bad though down in Baton Rouge area. Our stake is headed down for the next 4 weeks to help. We wont be going though cause its out of the mission. This week we are going on an exchange down in Hattiesburg! The Church is true! Love you all!! Surprise Birthday Song for President Olsen! ...The people here are amazing! I guess thats all for now. Things have been crazy here lately, we hardly get a free second, but we have been good! Thanks for the marshmallow guns, those are funny! 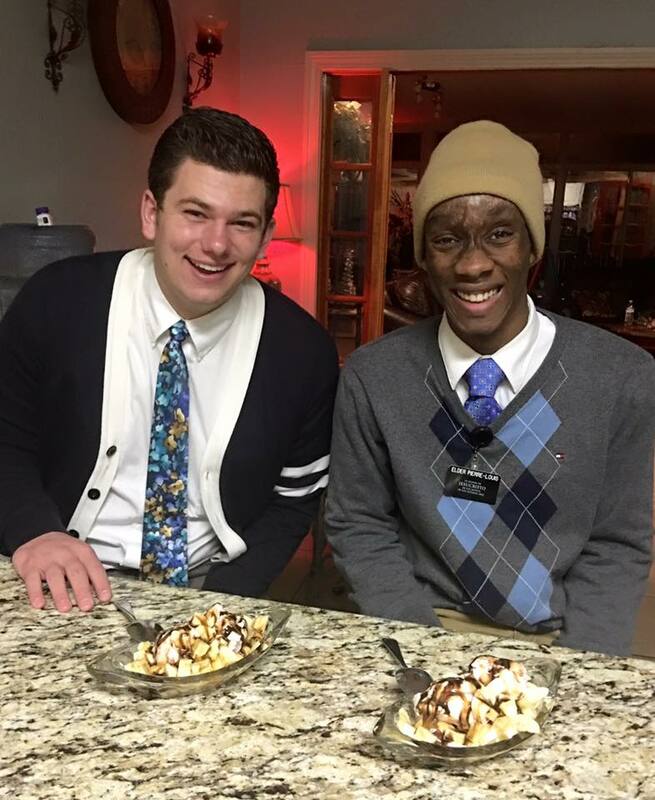 A Visit from Elder Neil L. Anderson! We had a great week this week! Definitely one to remember. At the beginning of the week we had a pretty rough start. Not a lot has been going on in our area despite the hard work we have been putting in. Tuesday it poured rain all day and we didn’t have much success while we were on exchanges, we didn’t get to talk to many people. Wednesday we had Zone meeting and it was good to see everyone again! Thursday we started Transfer planning. We spent all day with President Olson discussing the different missionaries and where they should go and we got done except just a few things that needed to be worked out. That night we went to teach a part member family with a 10 year old and 2 14 year old kids that haven’t been baptized yet. As we were teaching the little kids, who were all so intrigued and asking crazy questions, they all wanted to come to church and find out if Joseph Smith was a Prophet. It was really cool to see! Friday we continued transfer planning and the first thing President told us when we got in there was this. He said "So Elder... has been praying to get this certain Elder has his companion. Guess who it is?” So we guessed who it could be and I asked if it was the companion we had had him placed with at the moment and he told us that it was! It was pretty cool to see that one persons prayer can be answered in such a simple way. It wasn’t like we received a huge spiritual prompting from the spirit to do that but it just kind of felt like it was right. Then after we had them placed together, we found out that one of them had been praying to get the other one as a companion. It was a pretty cool thing to learn about how the spirit works. Saturday we were lucky enough to go to Shreveport! 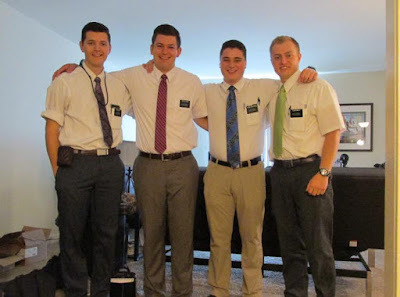 We went over there and worked with some missionaries for the evening and then on Sunday we got to attend their Stake Conference which Elder Neil L. Anderson was speaking at. It was such an awesome experience! 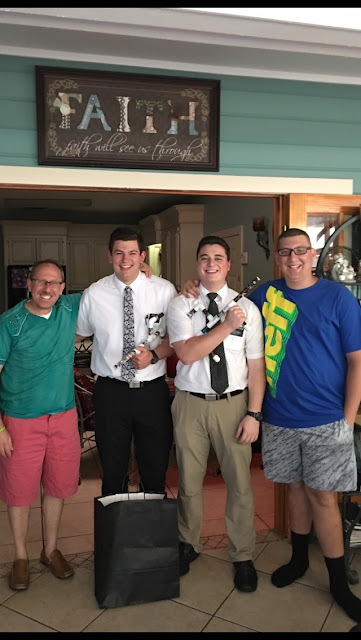 Elder Anderson talked about a lot of different things, listening and reading the words of the Prophets, about how life is fragile and we have to be ready for it, The Saviors Resurrection and how the Book of Mormon testifies of that and The Atonement. He said " If you need another witness of the Restoration, pick up the Book of Mormon and read it from cover to cover." He also shared a story with us about David Whitmer and Oliver Cowdery. He mentioned how both of them fell away and only Oliver Cowdery came back. He said that in the year before David Whitmer died he had heard rumors of people saying that he had denied his testimony of the Book of Mormon. David decided to write a pamphlet declaring that he or the other 3 witnesses never will nor have denied their testimonies of the Book of Mormon. He also shared Oliver Cowderys last words to David Whitmer as he was lying on his death bed, he said "Brother David, be true to your testimony of the Book of Mormon." It was such a faith builder to hear his testimony of the Book of Mormon and its truthfulness. Another thing that stuck out to me about what he taught was this, he said " The Lord is so fair, so merciful, so loving. Be not afraid. Have courage to live the Gospel. Don’t feel sorry for yourself. Get on your knees, open the scriptures and move forward." He spoke about how when he was called to the Holy Apostleship he received a stronger confirming witness than he could ever have imagined that, Jesus is the Christ. We picked up 18 new missionaries yesterday, we had a pretty good group! There were a lot of them. Transfers are today so hopefully we can get that all worked out! Elder Beckstrom and I are staying here! The weather has been good. Its rained quite a bit but luckily no flooding in our area. The missionaries on the coast we have heard that they have started to have to stay inside. It was getting bad. Tomorrow morning we drop off the departing missionaries. They are all staying the night with us. We have a few good appointments lined up and also planned sleep this week haha, we have been crazy busy! This week has been great! We have been super busy once again with transfer planning as well as MLC. We spent most of our time on that this week. With MLC we decided that we needed to change things up so they aren’t becoming so routine for everyone so we decided we would head up to Raytown for the day. There we taught about sacrifice and what a sacrifice it was to come on a mission and also the blessings that come from being on a mission. It was good to see all the familiar faces in Raytown. 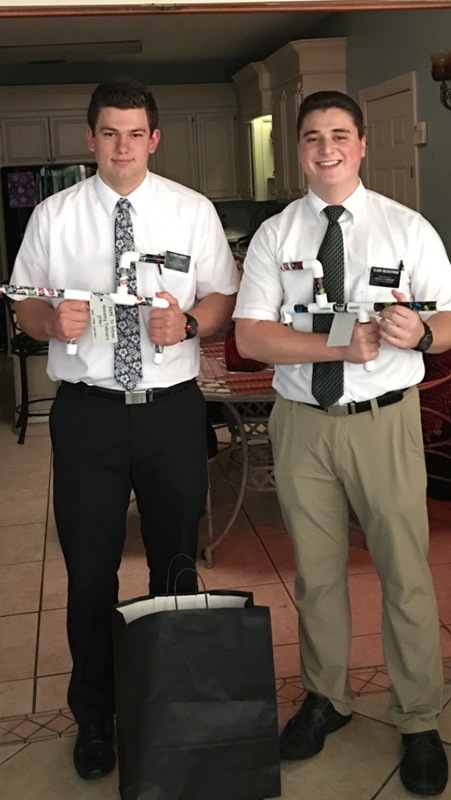 They were so excited to have all the missionaries there. On Friday we talked about journal keeping and taking notes which was a good call to repentance because I haven’t been the greatest at that lately. Elder Beckstrom and I taught about comp study. We had 2 Sisters go up and talk about something that was unique to them that they loved to do back home to illustrate the fact that we should care about what we learn. Then we had 2 Elders make a hockey play (thats what they played at home) and then practice it, that was to illustrate the fact that we need to make lesson plans and then practice it so that we can get things right. I would say that it went pretty well. I still don’t like being up in front of a crowd talking haha. I am doing good! Yesterday we were at the mission home with some missionaries who were going home. We were having a final testimony meeting. It was awesome to hear President Olson teach us about how a mission is the mold that we cast the rest of our lives with. It truly is so impacting, not only on us but on those we come in contact with. This week was really good! We had 2 exchanges- the Gulfport Zone Leaders and then the Monroe Zone Leaders. On Wednesday the Gulfport ZLs came to Jackson and the one I was able to go with had an amazing conversion story. He was kicked out of the house by his parents and had to live with members of the local ward because they didn’t want any contact with him. 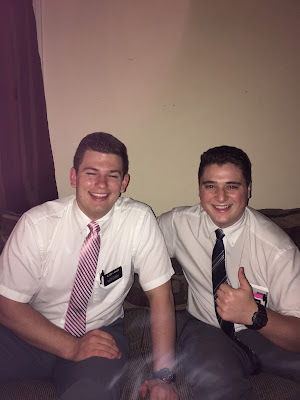 Over the course of his time as a missionary his parents softened up and now they want to hear the message that he is sharing with the people down here in Mississippi. What an awesome story to hear! On Friday we took off to Monroe and we got to do some good work with them. They had a baptism while we were there so it was great to see someone willing to make that choice in their life! We had some awesome lessons this week too! Elder Beckstrom and I have really been blessed. We talked to an Atheist for about an hour and answered every question that he was throwing at us. It was great to see his complexion change over the time that we talked. He is searching for peace at this time in his life. Sadly after we talked he didn’t want to continue but it was cool to see that we could testify of Gods love for him and answer all of the questions he had even when he didn’t believe in God. We also had some awesome lessons with Gary. He is making leaps of progression. As he has been able to read he has realized that it is the same Jesus Christ the same doctrine that He taught now the problem is just getting him to see the fullness of it instead of bits and pieces. Today Elder Beckstrom and I went to Vicksburg with President Olson and were able to tour the National Park there. History is a cool thing. They have some great stories about the Civil War and the things the people went through back at that time. Vicksburg is a huge Civil war place and it was a big turning point in the war. It was a really cool experience. Things have been going great. Jackson is a fun place! Every Sunday night they have what is called "Cruisin on North Side" and like everyone gets their fancy ghetto cars and drive in a huge line down the street and they have a party in a few different parking lots. And besides the fun we have been able to teach a lot of really awesome people and a lot of really good lessons lately. I have loved it. Everything is going awesome. I am loving it and am learning so much. 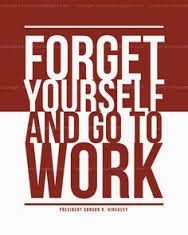 I feel bad we have been so busy that I haven’t had time to respond to anyones emails or letters… We are going to start Transfer planning and we have MLC this week soooo… we are going to be super busy. Thank you all so much for your prayers!